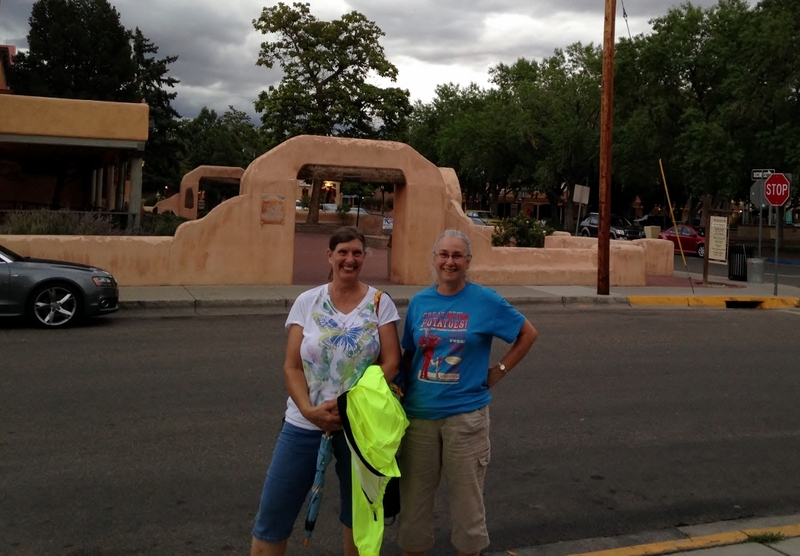 Riley and I are in Albuquerque after a GREAT time with the Ladeze (the Lazy Daze ladies) up near Taos. We came to ABQ for an appointment at Statkus Engines. 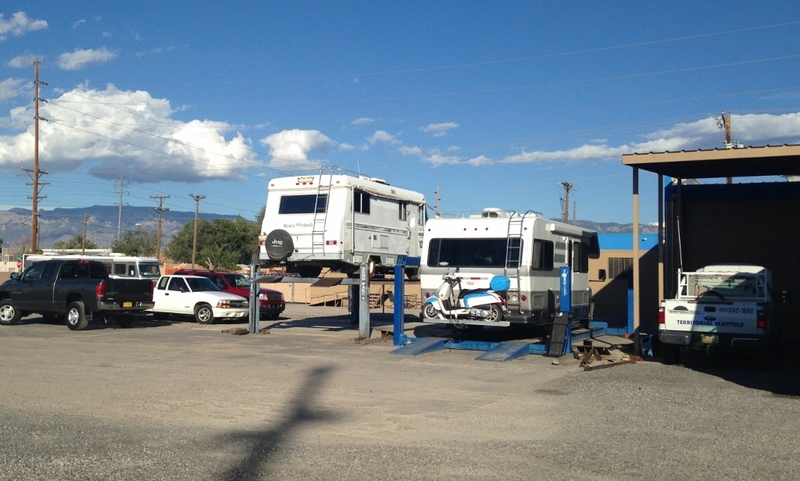 It’s time for some 60,000 mile service on my RV and Statkus is a very respected shop. They did a front end alignment for me last year after Balloon Fiesta and wrote up a quote for a bunch of 60k stuff, so am back and getting it done. Plus, I had a list of other things to check/replace/flush, etc. It’s so much work that it’s taken all day today, and will continue tomorrow. I said ‘I am living in it’ and they let me stay the night where they were working on it. So, here I am, on the lift where they finished at 5:00. At least it’s down on the ground! My Lazy Daze friend Kathy was here today getting work done, too. Last night we had dinner in Old Town with Lisa, another Ladeze attendee. 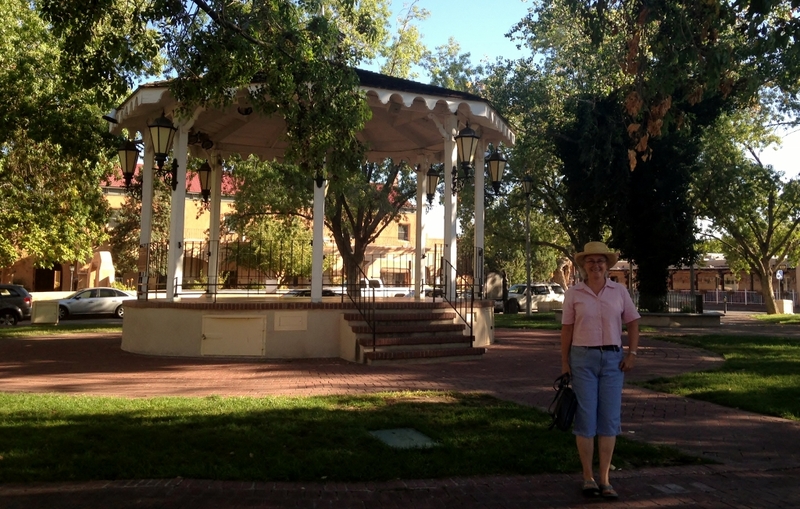 Today Kathy and I toured around the Old Town Plaza and shops while killing time waiting for our RV repairs. We will be in Albuquerque through the Balloon Fiesta (Oct 4th-12th). 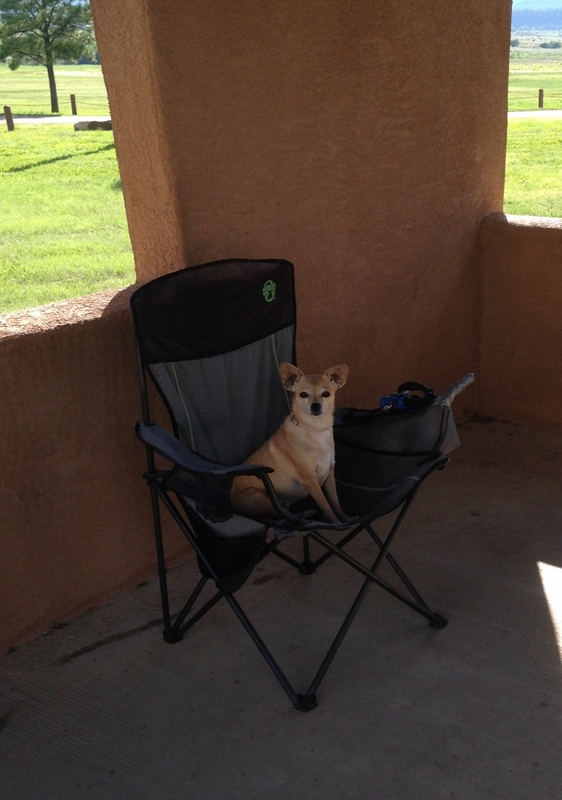 I have been organizing the Lazy Daze group at the Fiesta, so we will get there early and stay to the end. Hope to get some blogging done between now and the end of the month. I have lots of pictures to sort through from Santa Fe and Ladeze. More later…. By the way, I know I am severely lacking in pictures of Riley lately. 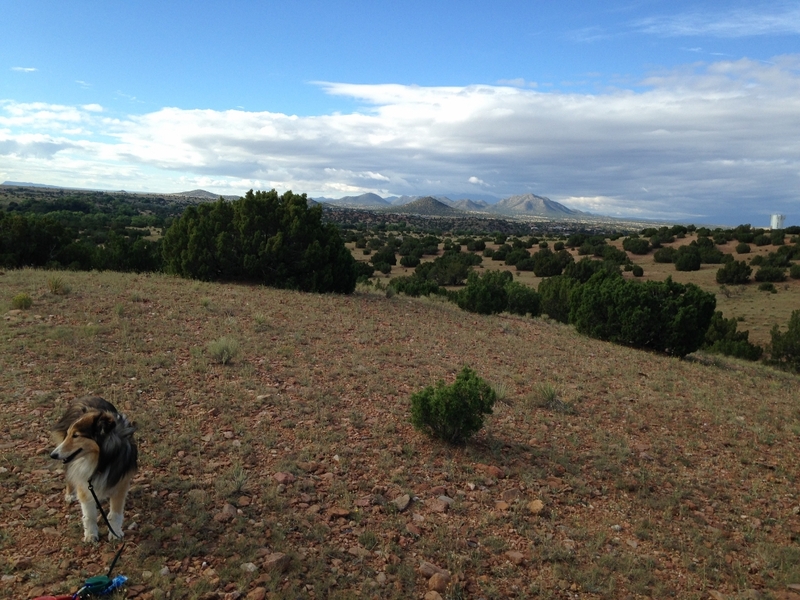 So, here’s one from earlier this month, on a morning hike in the hills behind Iska’s place in Santa Fe. Well, our time at Storrie Lake State Park is about to end. We have pretty much spent the summer here. 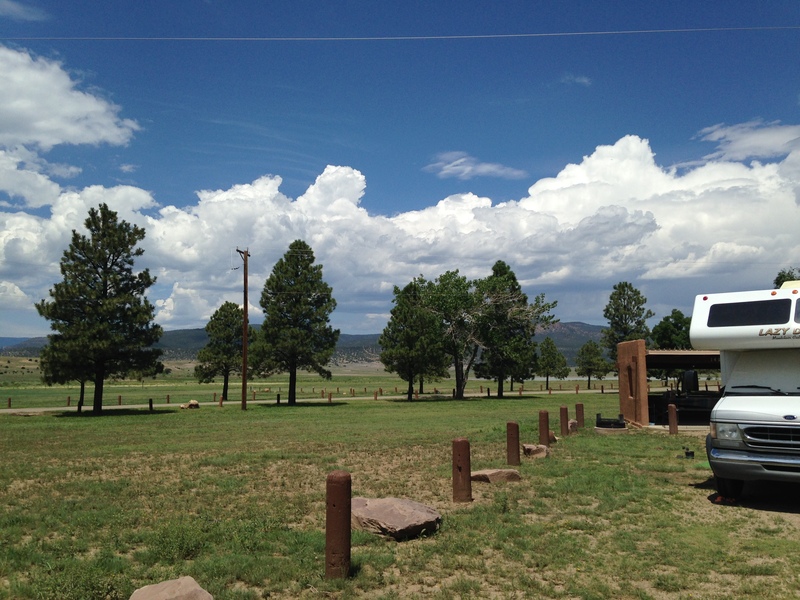 The weather has been really great, plus it’s close to town and has good Verizon signal. I don’t watch a lot of TV, but there is good broadcast TV signal here, too. Several of my friends have spent time here (Barbara, Roxanne, Annie, Nancy, Lorna, Ryan), and I’ve met some new folks (John, Jan, Renee, Patty, Brad, Dave). And Riley got to make some new friends, too. The weather is a big factor. 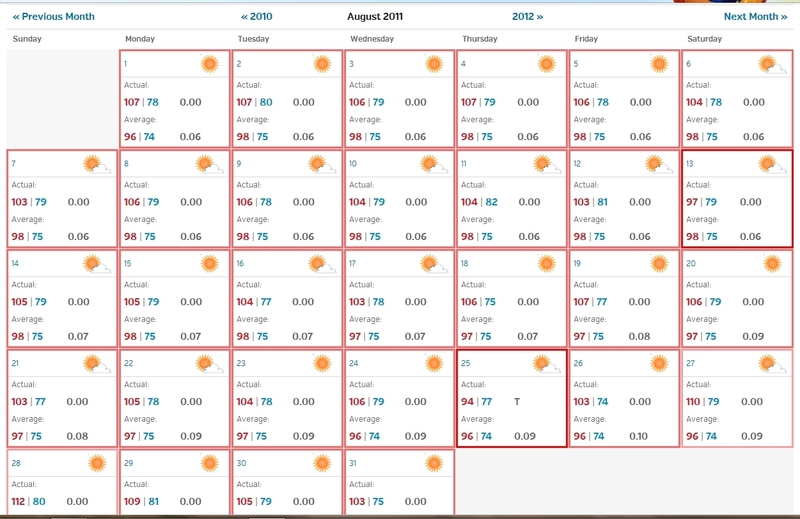 Here is the August weather in Las Vegas this year. Highs in the 70’s and low 80’s, lows in the 50’s. I’ll take it. And here is Austin in August 2011, the last time I spent August there. (We’ve been on the road since 8/2/12.) Thirty five years of this is enough. No more. 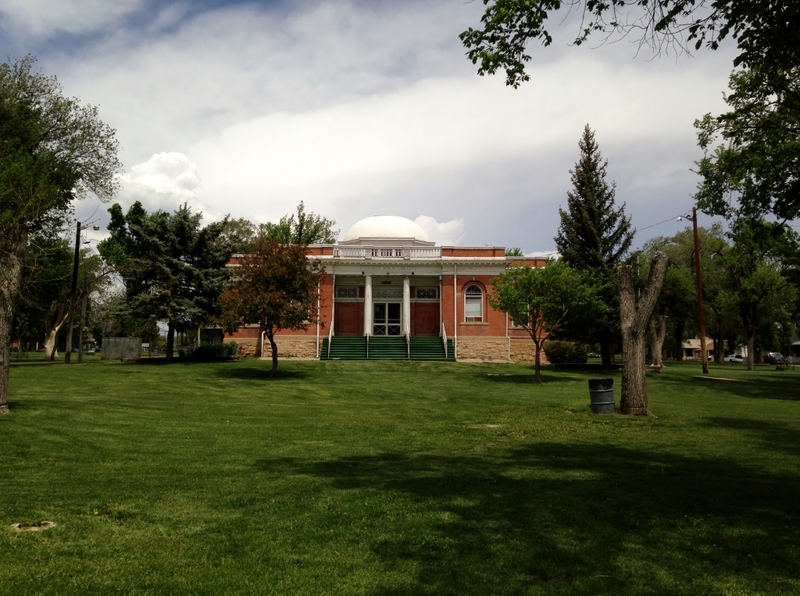 They have a Carnegie Library here, and I was able to get a temporary library card, so that was nice. It’s a pretty place, sits on a whole block. The homes surrounding the library block are being restored. 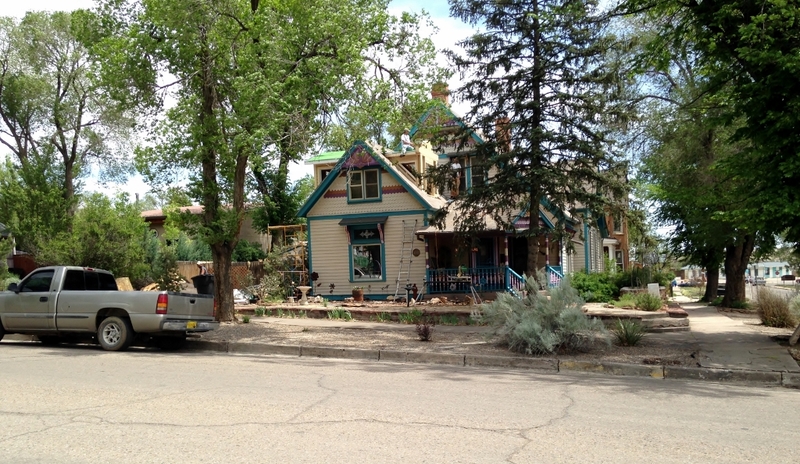 Renovation of a house on the corner across from the library into a gingerbread cottage. Las Vegas has a nice plaza, with the historic Plaza Hotel on one corner. Threadbear is a quilt and yarn shop I visited a few times. It’s just across the street from the Plaza Hotel. There is a farmer’s market here on Saturday mornings, plus other major events like the Rough Riders biker rally in July. We did a LOT of dog walking together. We’d often do two-a-days. 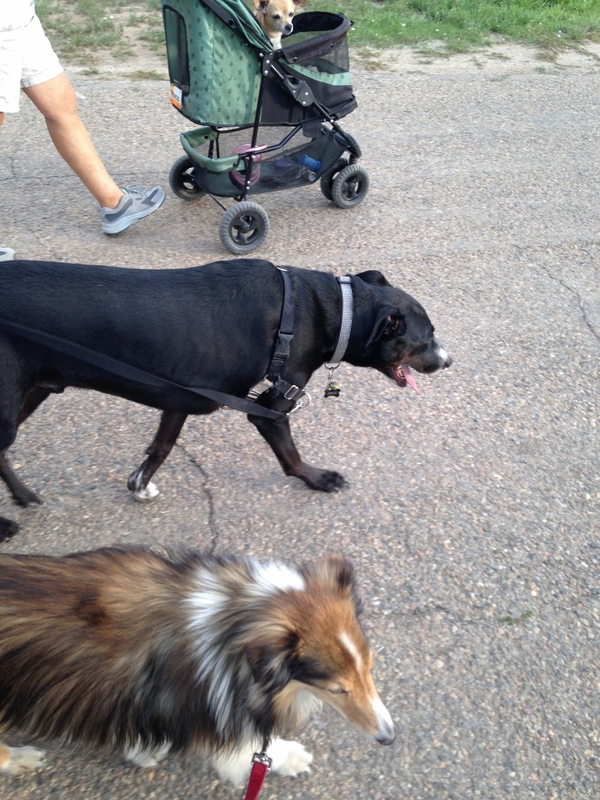 Katie has a bad ankle and can only walk a short distance, then rides in the doggie stroller. I did a bunch of weaving on my new inkle loom. I REALLY love making bands on it. 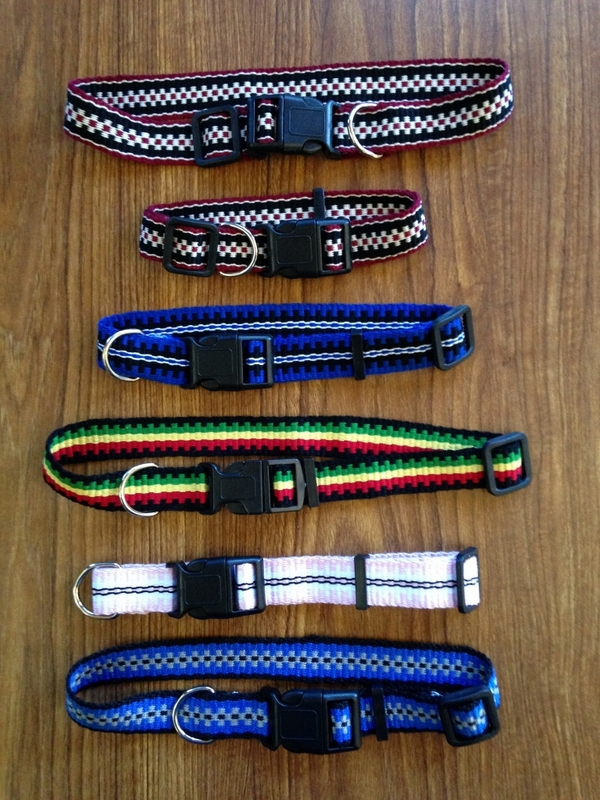 I have made a few things for my friends (belts, a dog leash, a camera strap) and have just finished some dog collars. Probably will work up some stuff for my Etsy shop. 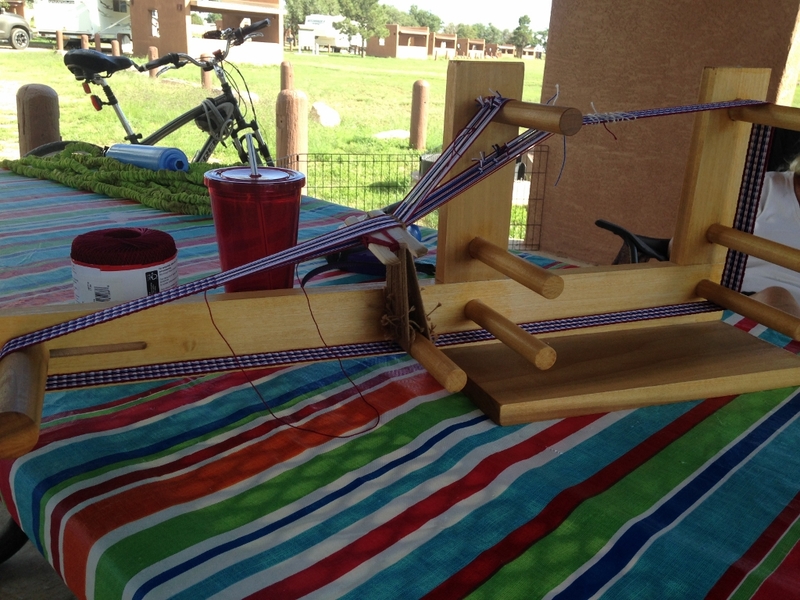 On hot days (about 95 was the hottest in July) I took the inkle loom out to our shade structure. Riley loves hanging out there and I would visit with John and/or Barbara. 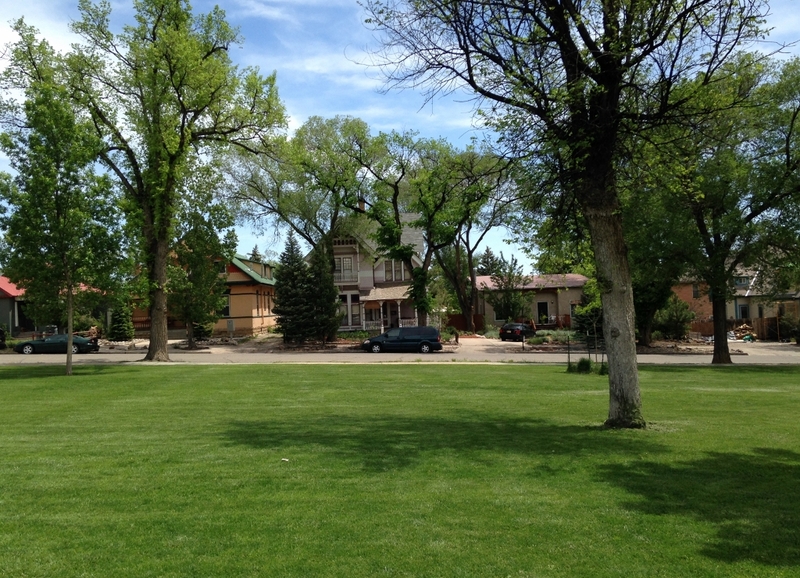 So, we are about to head out of here tomorrow (9/3) and go to Santa Fe. Iska and Larry are going on a trip and I get to house/pet sit. Yay! It will be good to visit with them a bit, and I love staying out there. On the 18th we go up to Taos for a Lazy Daze ladies (Ladeze) gathering. 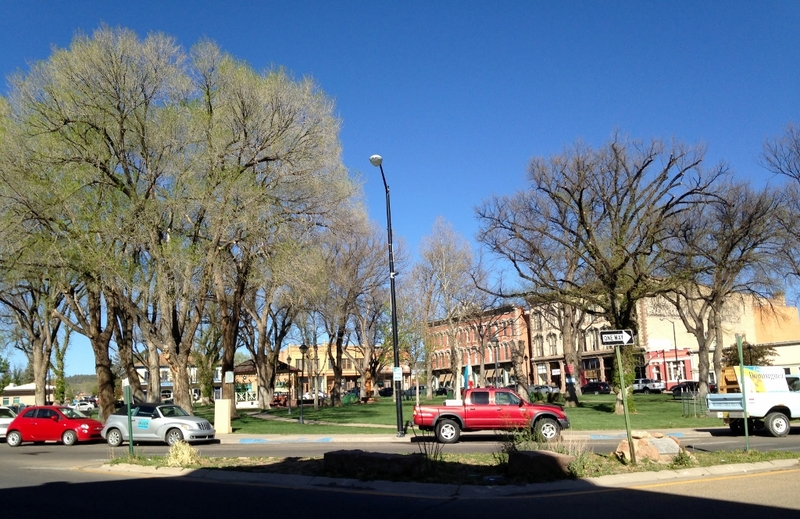 Then to Albuquerque for some Ford scheduled maintenance and the Balloon Fiesta. Lots of fun times with good friends planned. 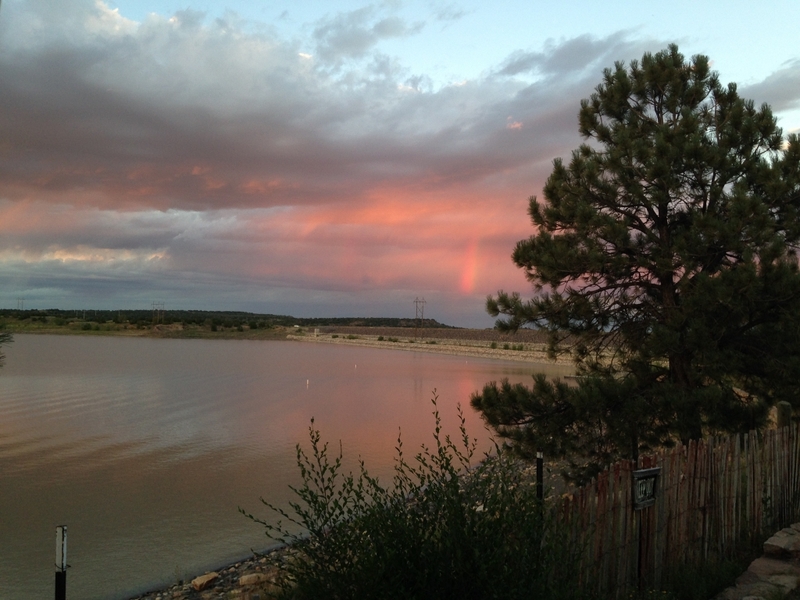 We moved to the far north end, by the dam and boat ramp, before the Labor Day weekend. Nice view from there. Moved back to the loop on Sunday. It’s better (nicer, quieter) here. Another lovely day. I will miss this.